Many of us are aware of Egypt and the great pyramids it houses. But is there more to Egypt than just these historical structures or is that all there is to see? A country with a population of over 90 million and a land area of over 390,000 square miles definitely has more to offer than just one attraction. Here are some of the attractions that people go to Egypt for that aren’t the Great Pyramids of Giza or the Sphinx. Take a private tour of the Alabaster Mosque. 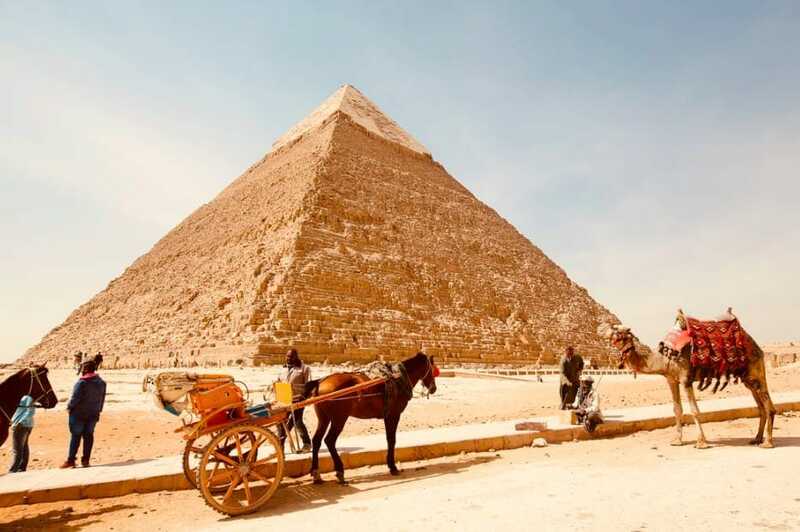 If you want to something a little different when you’re in Cairo, then think about having a guided tour of some of its other famous and impressive buildings. You can arrange to visit the Alabaster Mosque (the biggest mosque in Cairo), a tour guide will happily explain the fundamental beliefs of Islam along the way. When you’re done with the tour take a trip to the nearby Khan el Khalili bazaar and get bartering with the local merchants. This resort town offers a change of pace from the hustle and bustle of busy Cairo. Here you can relax and unwind on the beach for a while, but there is still plenty to keep you occupied during your stay. You can have a wander into the old town and get lost in the markets. Thanks to its beach location, there are many boat tours available, and you can take a glass-bottomed boat trip to glimpse the majestic coral and marine life underneath. If you’re feeling a bit more adventurous, you can embark on a desert experience, where you will ride into the Naama Desert on ATVs, before you hop onto the back of a camel for a slower ride through the sand. The tour is finished off with a traditional feast made on the campfire, and you’ll end the evening gazing up at the stars on a guided tour of the sky. Fall off the beaten path entirely and head to Dahab. Considered a treasured diving location, you can snorkel in the picturesque Blue Hole, which is teaming with marine life before heading over to the Three Pools and explore the huge coral reefs. If you’d prefer to explore on land, then you must head to the nearby Saint Catherine’s Monastery, the world’s oldest active Christian Monastery. Besides being the oldest monastery it also houses the world’s oldest functioning library, it possesses some of the oldest books in history, like the 4th-century script – the Syriac Sinaitic. There are many ancient works of Christian art inside the complex, and its collection is considered one of the best of early icons in the world. If you’re interested in the architecture from the ancient Egyptian era, then you should visit the temple of Karnak. Karnak is just beside the river Nile and is approximately 600 km south of Cairo. It is extremely well preserved and is huge. 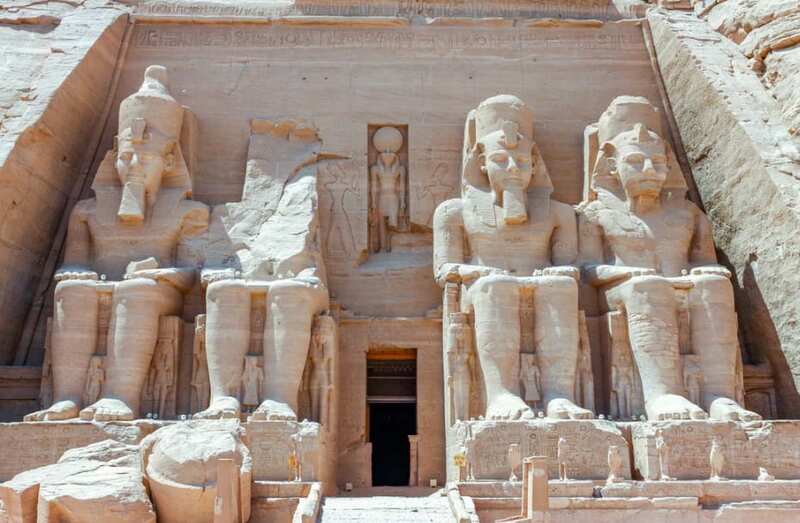 There are numerous locations on the site worth checking out including the hypostyle hall (that has over 100 pillars), the avenue of sphinxes, and the Sacred Lake. Those were some of the best alternative locations Egypt has to offer its tourists. There is still plenty of historical landmarks to be seen and lots of customs and nature to take in too. Of course, if those don’t take your fancy, you can always go and see the pyramids.